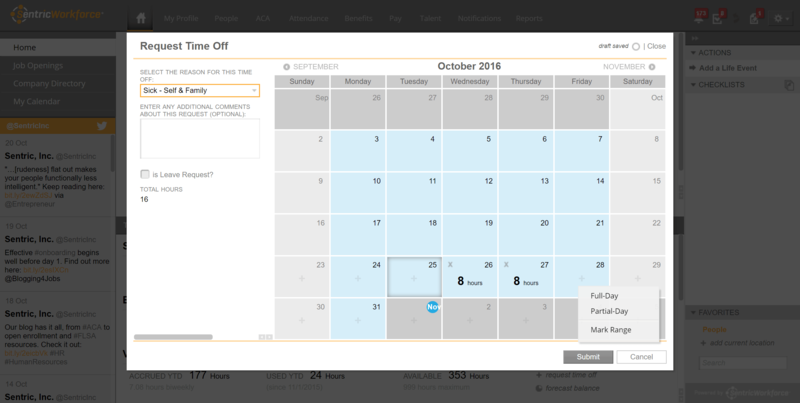 Scheduling is a core workforce management software feature. Basic schedule building is part of this, but a benefit of using this feature is gaining insight into your business to create the best schedule possible. Workforce management software examines past data on performance and other factors to determine current staffing needs. This automated feature takes the guesswork out of scheduling, with tools for calculating the number of employees needed for a certain project or potential staffing gaps. Scheduling features from Sentric Unified Workforce Management. Forecasting functions predict future possibilities based on historical data, trends and the direction of the business. 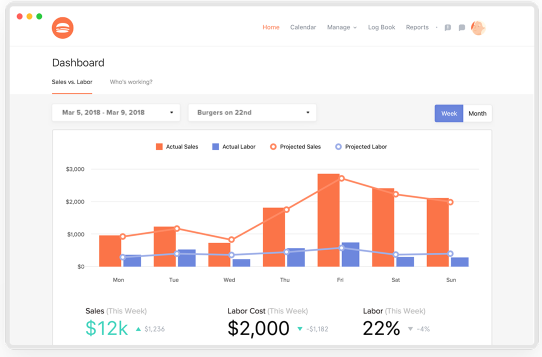 Trend analysis functionality examines patterns in employee time and attendance, guiding decision making when creating schedules or new policies. For example, managers can use forecasting to schedule employees for a specific project or especially busy time of year based on performance from past seasons. Many systems allow users to introduce different factors into scenarios, so needs can be observed from all angles. Performance management features track the achievements of the organization as a whole, as well as individual employees. This analysis provides insight into company procedures and predicts trends. Performance management features can tie into workforce management through the observation of employee conduct in certain roles, locations and work times. With this information, managers can schedule workers accordingly. Reporting through workforce management software gives users a tool for presenting data in informative visualizations. By compiling information into a report format, data is easy to interpret and shareable. The accessibility of data through a report allows all stakeholders to view the resources they need, regardless of technical ability or analytics experience. A payroll report by BizRun. Mobile capabilities give users the tools to access their workforce management platform from any device. Employees can use the software when traveling to other offices, working during their commute or in any situation where a desktop computer isn’t accessible. This feature is especially useful for businesses with constantly changing schedules, such as a restaurant or customer service center where employees swap shifts often. A mobile workforce management system alerts all employees to these changes, keeping the company on top of scheduling and avoiding any lapses in coverage due to lack of awareness. ADP Workforce Now, like most modern workforce management software, has mobile capabilities. Time tracking features provide attendance tools, such as clocking in and out and monitoring. More advanced features, like biometrics and compliance measures, ensure added security to these standard systems. The collection of attendance information through time tracking tools gives business owners an accurate portrait of employee hours. With the insights provided by the analysis of this data, decision-makers can craft workforce management policy to fit the needs of their company. Simulated scenario forecasting helps users view possible metrics and make adjustments to the scenarios based on different variables. By exploring these “what-ifs,” decision-makers can plan for any circumstance. Self-service capability provides access to payroll, benefits and attendance-related materials for all employees. Tracking and management features essentially allow users to view their own workforce management information and complete any action needed, without the assistance of their company’s human resource department. Databases present this information and provide a space for employees to view and work with the items. Labor cost tracking by 7shifts. Workforce management software can integrate with other human resource systems, offering a complete suite of functionality.  Connecting with third-party platforms keeps all of your business’s human resource functionality connected. A workforce management system can be integrated with an HRM system as an add-on, or other types of software can be linked to an initially standalone workforce management tool. Administrative control features give managers the ability to define rules centered around compensation and attendance policies. The system includes automatic, accurate calculations of financial factors — users can ensure all information is correct with certainty. Most workforce management systems offer deployment options that can be chosen depending on the needs of your business. Cloud-based systems host the platform online, providing mobile access and extensive data storage. On-premise platforms keep files stored in company devices. Security measures included in workforce management software control accessibility based on employee roles. This feature ensures information is available only to necessary stakeholders, keeping employee data protected. Audit trails keep track of any adjustments within the platform, so there is a record of all activity. With this security tool, businesses have documentation of their workforce management software processes. In the case of any errors occuring, users can review the audit trail to discover the source of the issue. This allows companies to respond to problems quickly. At its core, workforce management software is a time administration tool. The base functionality of these platforms involves scheduling and planning, as well as resulting attendance tracking. Advanced analytics tools examine trends and offer insight, leading to informed decision making. Additional features like security and deployment management ensure the system runs smoothly. When implementing a workforce management system, it is important to determine the needs of your business, as well as examine your current environment. This is especially true for companies with an existing human resource management system in place. There are many HRM platforms that include workforce management functionality, so gaining an in-depth understanding of where you stand in terms of established processes is the first step to choosing your requirements. What are the top workforce management software requirements for your business? Leave a comment and let us know!